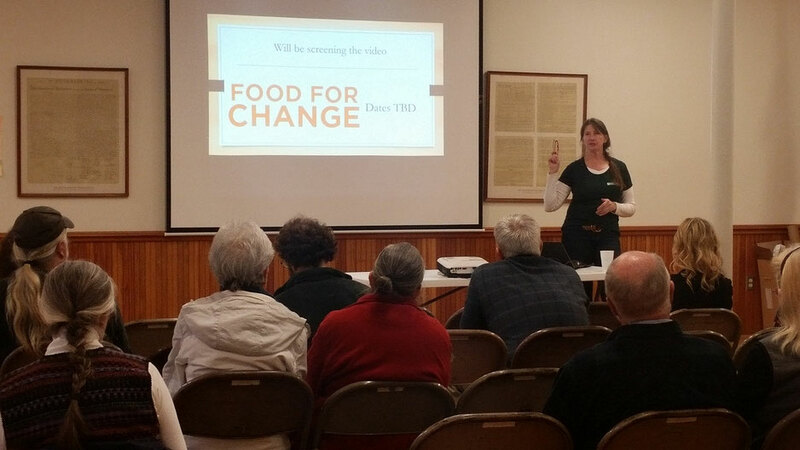 The Great River Co-op, a start up co-operative grocery store coming to Walpole, NH held its Annual Meeting on Wednesday, April 26th at the Walpole Town Hall. With about 35 people in attendance, the evening focused on how the community can support the co-operative grocery store where all members are owners, and local farms and producers are front and center. Kim Mastrianni, President of the Board of Directors, encouraged community members to join in the movement and support the co-op by becoming members/owners, making a donation, or volunteering to get the word out. Mastrianni confirmed that much has happened in the last year for the co-op, and that momentum is building. The existing market study was updated, reconfirming the co-op’s viability in this region, three new board members joined, the Facebook page has been developed and is growing, the website was redesigned and the co-op was represented at a number of local events. The co-op has applied for a USDA Grant, and made arrangements with the Cooperative Fund of New England to act as fiscal sponsor. All of this is in addition to the partnerships with Monadnock Economic Development Corporation and Bensonwood. 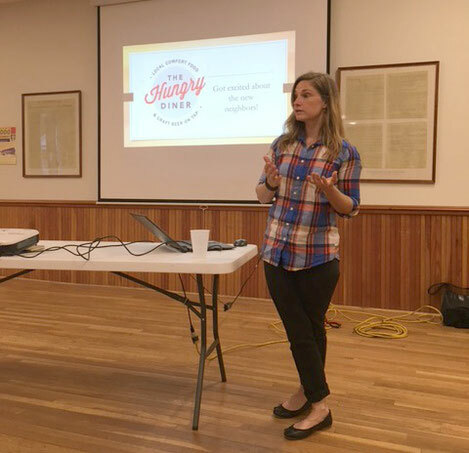 Guest speaker, Caitlin Caserta-one of the owners of the new Hungry Diner restaurant that is coming to Walpole this spring-gave a sneak peek of their “Farm to Table” philosophy, and how it will support local farms and producers as well, giving the local community a place to enjoy real food at an affordable price. Thanks to the generosity of many local businesses, guests enjoyed an array of local snacks. Pizza from Orchard Hill Breadworks-topped with sausage from Walpole Valley Farms and dips from Halladay’s Harvest Barn. Great River Co-op tote bags were filled with local goodies from Badger Balm, Tamarack Farm, L.A. Burdick’s Chocolates, Walpole Mountain View Winery, Twin Spruce Farm, Far Hills Farm, Terra Nova Coffee, Halladay’s Harvest Barn and Maple Nut Granola and raffled off to attendees. Next steps for the Great River Co-op include hiring a Project Manager, and continuing to grow the membership. There are many ways that the community can contribute to opening its doors. 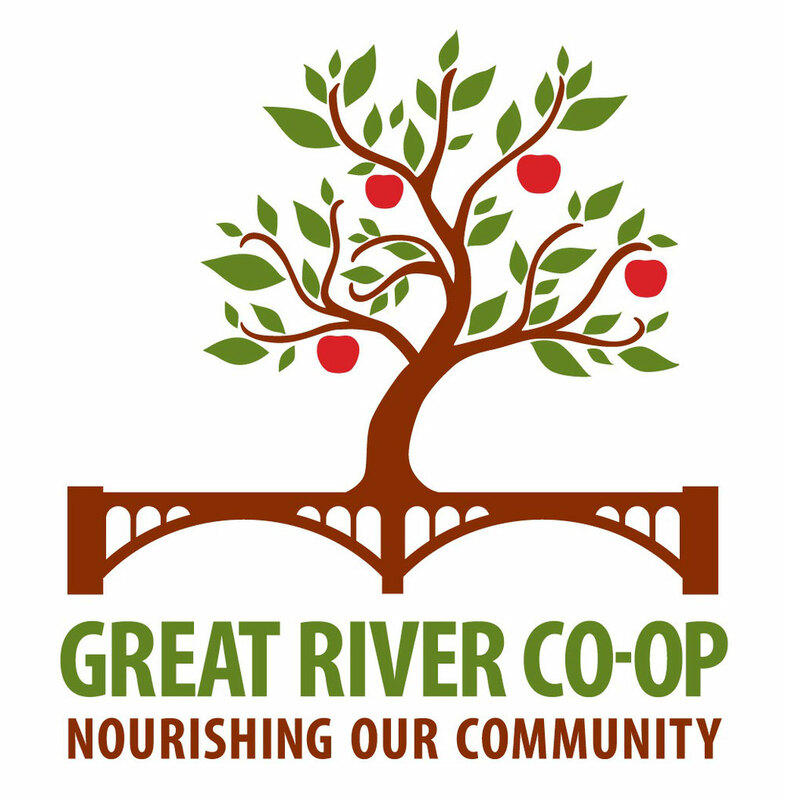 To learn more about joining the Great River Co-op, or volunteering to help at events, please join our email list, shoot us an email at info@greatriverfoodcoop.com and follow us on Facebook!